ASLI’s DHL operation in Hong Kong continues to grow as the end of 2018 marked the delivery of the third A330 and addition of a new route, to Shanghai Pudong International Airport China. EI-HED, the third A330 ASLI have taken on, is an A330-243F, a slightly different type to the rest of the fleet. This brought with it some new challenges, but ASL Ireland rose to the occasion and Duty Manager John Davey reported EI-HED airborne on its acceptance flight at 11:43 PM on Monday the 17th of December, just 6 weeks after it was agreed to transfer the aircraft to ASLI. 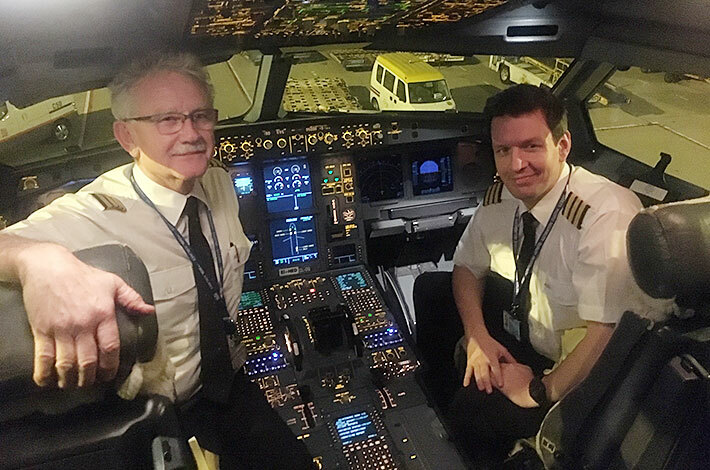 EI-HED was flown from Abu Dhabi to Hong Kong on Jan 4th by Captain Denis Coughlan and First Officer Harvey Gaskell to join EI-HEA and EI-HEB in service for DHL-AHK. In other A330 news, the first ASLI flight to China was flown on Jan 1st by EI-HEA from HKG to PVG. LD782 landed on target and on time at 5.54AM on new year’s day, marking another success for the Asian operation.